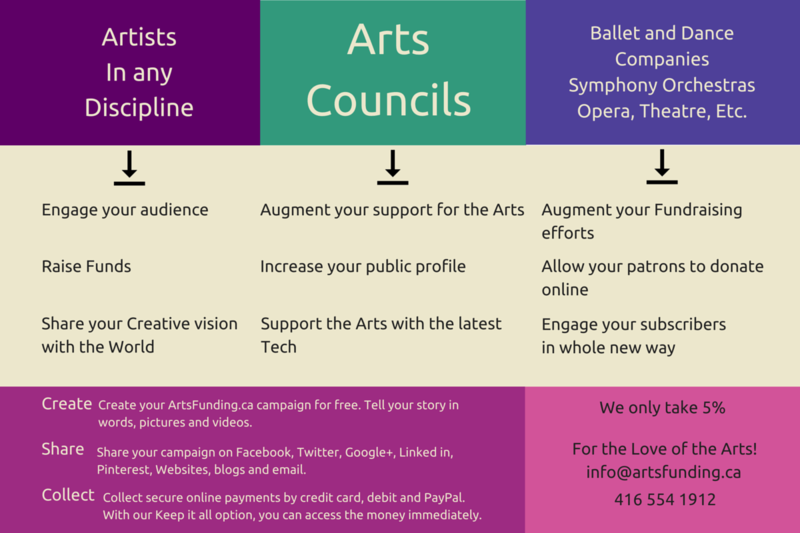 Create your ArtsFunding.ca campaign for free. Tell your story in words, pictures and videos. Start raising money in just minutes. We give you help and advice every step of the way. Share your campaign on Facebook, Twitter, Google+, Linked in, Pinterest, Websites, blogs and email. Our Partner Fundrazr engages your supporters and grows your funding. Collect secure online payments by credit card, debit and PayPal. With our Keep it all option, you can access the money immediately.